The International Research Review Board provides guidance to QBI on the direction and future of research and research needs. Professor Dolan is the Mary Kinross Professor of Neuropsychiatry and Director of the Wellcome Trust Centre for Neuroimaging, University College London. His research addresses the neurobiology of emotion and decision making, how emotion impacts on cognition and its aberrant expression in disease. He has published more than 500 peer-reviewed papers and is among the most cited scientist in the world in the field of neuroscience and behaviour. He has received numerous awards including the Alexander Von Humboldt Research Award (2004), the Minerva Foundation Golden Brain Award (2006), the International Max Planck Research Award (2007) and the Zülch Prize (2013). Between 2010-2014 he was Visiting Einstein Fellow to the Humboldt University, Berlin. He was elected Fellow of the Academy of Medical Sciences (FMedSci) in 2000, Fellow of the Royal Society (FRS) in 2010 and an External Member of the Max Planck Society (MPS) in 2012. 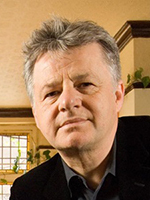 He recently established the first Centre for Computational Psychiatry at UCL, a joint venture with the Max Planck Society (MPS). 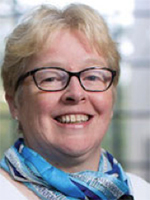 Professor Alison Goate is a well-known neuropsychiatric researcher and molecular geneticist, and since 2015 has been Director of the Ronald Loeb Center for Alzheimer’s Disease at Icahn School of Medicine, Mt Sinai. Professor Goate started working on Alzheimer's disease (AD) genetics in 1987 as a postdoctoral fellow with Dr. John Hardy, at ICL. Since then she has been part of many gene-finding teams that have successfully identified disease-causing variants for AD, and FTD. Her work has been recognised through the Potamkin Award, the MetLife Award and the Khalid Iqbal Lifetime Achievement Award from the Alzheimer’s Association. She was elected a fellow of the American Association for the Advancement of Science in 2012, and elected as a member of the National Academy of Medicine in 2016. Professor Mu-ming Poo is Director at the Institute of Neuroscience, Chinese Academy of Sciences, Shanghai and Paul Licht Distinguished Professor in Biology, UC Berkeley. Professor Mu-ming Poo was born in China, received his B.S. in physics from Tsinghua University in Taiwan (1970), and Ph.D in biophysics from Johns Hopkins University, Baltimore (1974). Following postdoctoral training at Purdue University, he held positions at the University of California, Irvine; Yale University School of Medicine; and Columbia University. During 1995-2000, he held the Stephen W. Kuffler Chair in Neurobiology at University of California at San Diego, and in 2000 he moved to the University of California, Berkeley. Since 1999, he has served as the founding Director of the Institute of Neuroscience, Chinese Academy of Sciences and the Head of the Laboratory of Neural Plasticity. He is the member of Chinese Academy of Science (foreign member), US National Academy of Sciences and Academia Sinica. 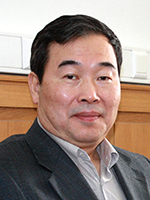 He became the chief scientist of the 973 project 'Neural Basis of the human intelligence' from Chinese Ministry of Science and Technology in 2011 and the chief scientific consultant of the Strategic Priority Research Project (Class B) on Mapping of Brain Function from Chinese Academy of Science in 2012. In 2014, he was appointed as the director of the CAS Center for Excellence in Brain Science. Professor Poo’s research interests focus on cellular and molecular mechanisms underlying axon guidance, synaptogenesis and synaptic plasticity. He has received the following honors: AAAS Fellow (2001), Ameritec Prize (2001), Ray Wu Society Award (2002), Docteur Honoris Causa of Ecole Normale Supérieure, Paris (2003), National Prize for International Cooperation of China (2005), Qiushi Excellent Scientist Award (2010), Outstanding Science and Technology Achievement Prize of the Chinese Academy of Sciences (Research Group, 2011) and an Honorary Doctoral Degree from the Hong Kong University of Science and Technology (2014). 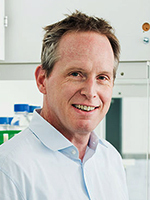 Professor Andreas Lüthi is a senior research group leader within the Friedrich Miescher Institute for Biomedical Research in Basel, Switzerland. He is an expert in the physiological and behavioural analysis of amygdala function. He has pioneered in vivo electrophysiological methods to study amygdala function in behaving mice, and has a long-standing track record in the field of synaptic plasticity and learning. His work has been recognised with various honours – long-term fellowships from the Human Frontier Science Program, European Union and EMBO, a Professorship with the Swiss National Science Foundation and the Pfizer Research Prize. 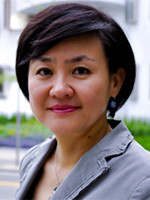 Professor Li-Huei Tsai is a cognitive neuroscientist and Director of the Picower Institute for Learning and Memory in the Department of Brain and Cognitive Sciences at the Massachusetts Institute of Technology. She is known for her work on neurological disorders that affect learning and memory, particularly for her research on Alzheimer’s disease and the role of CDK5 and chromatin remodeling in the progression of the disease. Professor Tsai received her PhD from the University of Texas Southwestern Medical Center at Dallas and completed her postdoctoral work at Cold Spring Harbor laboratory and Massachusetts General Hospital. In 1994, Dr. Tsai joined Harvard Medical School and was named an investigator of Howard Hughes Medical Institute in 1997. In 2006, she was appointed Professor in the Department of Brain and Cognitive Sciences, and joined the Picower Institute for Learning and Memory at MIT. She is a Fellow of the American Association for the Advancement of Science (AAAS), and has received numerous awards, including the Outstanding Contributor Award, Alzheimer Research Forum; Distinguished Academy Achievement Award, Chinese American Academic and Professional Society; the Javits Neuroscience Investigator Award; and the Mika Salpeter Lifetime Achievement Award.